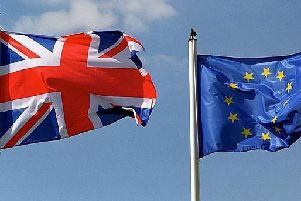 Some of our country’s most well-known and well-loved environmental and wildlife charities have thrown their support behind the UK’s continued membership of the EU. Although EU funding, which amounts to over £215 million per year across the third sector, is vital for all UK charities, it is especially important for those with a smaller ‘earned income,’ such as ones that play an active and important role in the protection of our environment and wildlife. I hope that people up and down the country will join together and speak up about what the EU does for our environment. The wider public deserve to know that more than anything else, it’s the EU that ensures that our beaches are clean, our air is safe and our forests and endangered species are protected. The EU is now also pressurising the government to tackle the killer that is pollution. It’s in nobody’s interest for us to return to the bad old days when we were the dirty man of the continent. Plus, when it comes to the EU and the environment, funding is only half of the story. As the problems associated with climate change don’t stop at borders, tackling them requires international cooperation. The choice on June 23 is taking the lead in Europe or shirking our responsibility.